ICON Composite Neck / Wear Rings are more wear resistant than Brass or Stainless Steel. Economical and longer lasting, can be machined like metal. We are leading manufacturer and supplier of Wearing Rings and our product is made up of good quality. We are a reputed name in the industry, devoted towards offering the best quality array of Men Fashion Wear Ring. Keeping our synchronization with the development taking place in this industry, we are engrossed in delivering a broad range of Shaft Wear Ring. We offer four replaceable type Wearing Rings that are installed within the pump casing. 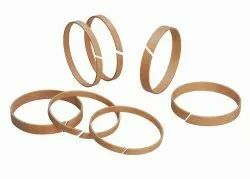 These rings are fabricated from premium quality material to enable these to last for a longer time. The rings are capable of resisting wear & tear and can be easily oiled & serviced. We can custom make these rings, as per different specifications detailed by the clients. We offer different sizes of forged wear rings for wear pumps as per the client's requirements. We manufacture and offer optimum quality of stainless steel rings using qualitative raw material in the production process. Our comprehensive range of steel rings is available in various diameter and width which can be customized as per client specifications. 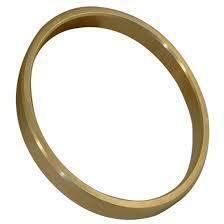 Our organization is engaged in offer qualitative range of Wear Ring. These are made with the help of latest machines and technologies which makes them very durable in nature and made from quality materials thus ensure durable finish. These are very easy to install and safe to use and are a cost effective.